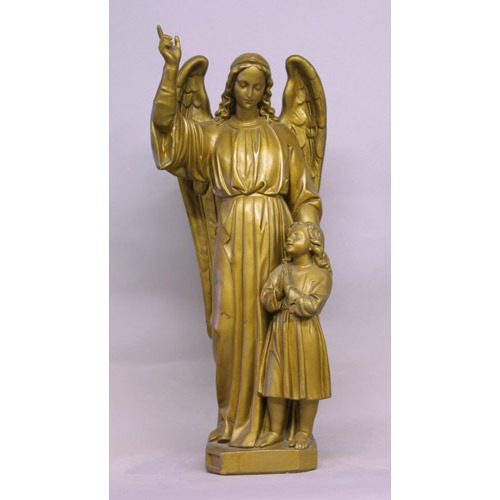 Guardian and Child, cast in fiberglass with a Deep Gold finish. Not suitable for Outdoor use. Other finishes available that can be used outdoors, see "Images" tab above for options. 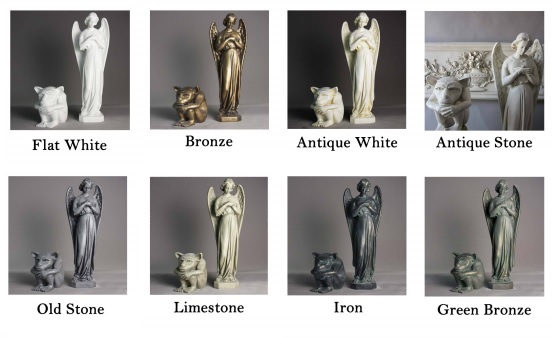 This statue can also be hand-painted in full colour for a surcharge. Please note that Full-Colour is for Indoor Use Only. Prices are in Canadian Funds and do not include Freight from the United States. Please call for accurate shipping quotes.